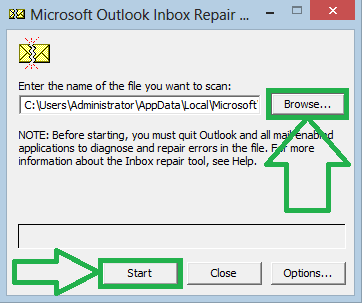 Today I Show you ” How to repair PST File ” without any mail loss or currecept. Friends you Easily Repair PST file in Only Few Steps. This is very simple trick. Just follow the All Steps. 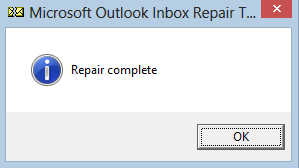 First of all i told you how to make safe your outlook file. Step 1. First close your outlook and copy your PST file on different Location for safety. Step 3. 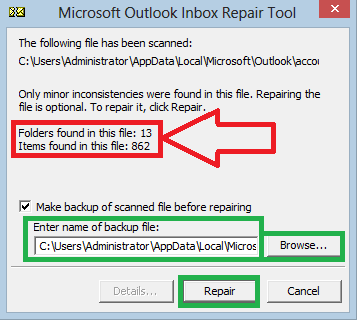 Click on Browse button and Select your damaged PST file and Click on Start. Step 4. After take some time its recognise for PST file all data just like your folders, files, mails and attachments. Step 5. Its take some time to perfectly repair your PST data file. 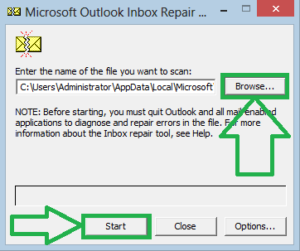 after repair your PST File Successfully you should have to Click on OK button. Step 6. Now open your MS Outlook and you see your all data is ok now and your MS Outlook ready to work. Thank You for Reading this Article. If this article helpful for you and you like this Article Please share with Friends and Read other Articles like this.